What is an Application and what is Application Landscape? Read the Dragon1 Term Definition here. Application Landscape is the structure and/or coherent set of all important information systems, services, business objects, modules, functionalities, building blocks, applications (an application is a shortened term for software application or hardware application), components, interfaces and databases and their platforms, technologies, types and interdependencies, with regards to business continuity. A second definition is: an application landscape is the management overview, or set of views, of all applications and their related entities in an organization. Next to Application Landscape the term Application Landscape Diagram is used. The definition of Application Landscape Diagram is: a formal schematic visualization of an application landscape. ArchiMate and Dragon1 are examples of modeling languages with which an application landscape can be visualized formally in a diagram. Dragon1 is a collaboration platform for creating application landscapes, system landscapes, blueprints and roadmaps. With many examples, templates and checklists we make the work easy for you. Also, you can import any data from any source. Publish your landscape online to anyone on any device with interactivity and comments feature. Suppose you have a lot of data in systems like Aris, Service Now, Top Desk or HP Open View, then you might consider using Dragon1 as Enterprise Architecture Solution to generate the 25 default views we have defined for an application landscape. Create a trial account here and later this week you will have created your first application landscape. Your starting point is the Getting Started on the Dragon1 Learn and Help. Dragon1 as EA method and platform has defined a set of 25 default views as part of an application landscape. With these views you can provide any satisfying picture for any type of stakeholders. 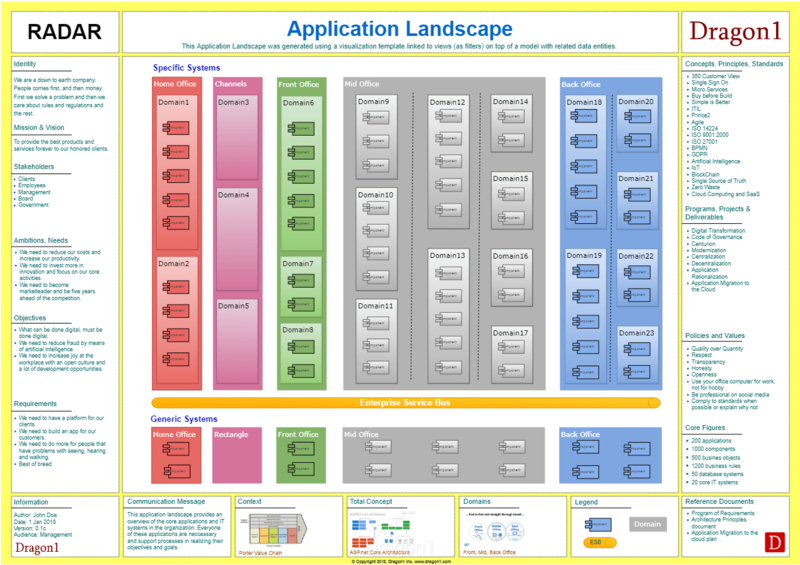 Where did the Application Landscape Diagram go to? 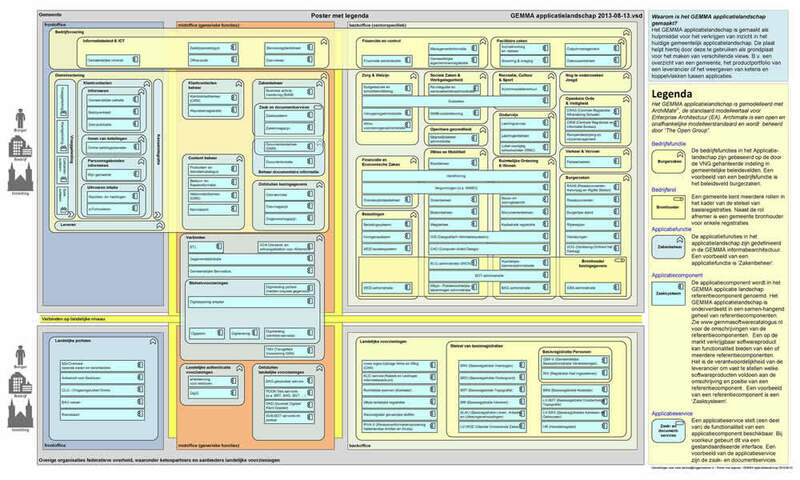 Too often organizations working with enterprise architecture do NOT have their Application Landscape visualized in a (useful) Application Landscape Diagram. Dragon1 as open EA Method suggest to you as an enterprise architect to create an Application Landscape Diagram as one of the first visualizations to create. If you create it for your stakeholders they will have much control over reducing the cost and complexity of the application landscape and keeping it agile. If you have a suggestion for us to improve the application definition, please contact us via info@dragon1.com. Do you want to create Application Landscapes yourself? Create your Trial Account today.